Overview: On November 23, 2018, Mayor Sadiq Khan confirmed that junk food advertising will be banned on London underground, train, tram and bus services. Only advertisements promoting healthy products will be allowed. This initiative is part of the city’s larger plan to tackle childhood obesity and promote healthy lifestyles. With an estimated 30 million journeys made every day on Transport for London’s (TfL) network, its advertising sites offer a key opportunity to promote good, healthy food to children and their families. In April 2018, the mayor published a draft of London’s Food Strategy (the finalized version will be published in December 2018). The strategy is comprised of 6 key components designed to reduce food insecurity, create a healthier food environment, improve food procurement, support healthier habits in mothers, infants and children, increase sustainable farming and growing, and reduce food waste and greenhouse gases. Notably, the draft outlined proposals to ban the opening of new hot food take-out sites within 400 meters of the entrance or exit of existing or proposed primary and secondary schools to further combat child obesity rates. The draft also invited public discussion of ways to refine and further develop the London Food Strategy in order to increase its effectiveness. A public consultation was launched in May 2018, providing citizens with the opportunity to share their views and provide feedback on the mayor’s priorities and plans. Londoners responded by overwhelmingly supporting a ban on all advertisements for foods and non-alcoholic drinks that are high in fat, salt and/or sugar and are considered “less healthy” under Public Health guidelines. As part of a wider drive to tackle child obesity, the mayor is also setting up London’s first-ever Child Obesity Taskforce which is committed to take action to halve the percentage of London’s children who are overweight at the start of primary school and obese at the end of primary school by 2030, and to reduce the gap between childhood obesity rates in the richest and poorest areas in London. This action plan will be published in early 2019. How it works: Beginning on February 25, 2019, junk food restrictions will apply to advertisements on all modes of transport controlled by Transport for London (TfL), including the Underground, Overground, London buses, TfL Rail, trams and river services. Examples of products that cannot be advertised include sugary beverages, cheeseburgers, chocolate bars and salted nuts. However, the initiative does not ban all food advertising. 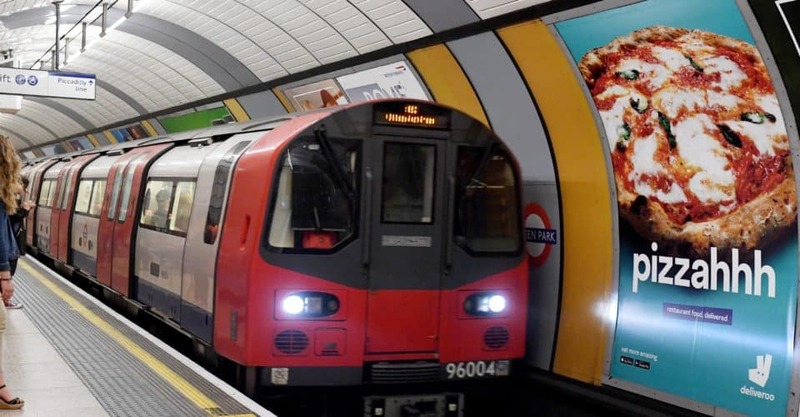 Food and drink brands, restaurants, take-out establishments and delivery services will still be allowed to advertise on TfL if they promote their healthy products such as, for example, sugar-free drinks, unsalted nuts and raisins. However, they will not be allowed to solely promote their brand or generic logo. Why it is important: London has one of the highest rates of childhood overweight and obesity in Europe, with almost 40 percent of the city’s children aged 10 and 11 overweight or obese and those from more deprived areas disproportionately affected. Recent figures from Diabetes UK also revealed a drastic rise in the number of children and young people across the country diagnosed with Type 2 diabetes, which is linked to obesity. Similar practices: In an effort to combat the rising rates of obesity and diet-related chronic diseases, the Brazilian Ministry of Health implemented a ban on the advertisement and sales promotion of ultra-processed food products in 2016. 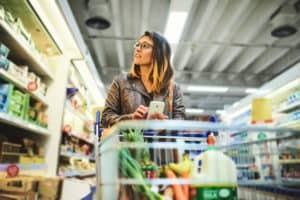 The improving economy in Brazil has unfortunately been associated with rising rates of obesity, heart disease, diabetes and cancer as families with increasing incomes embrace the convenience and flavors offered by ultra-processed packaged foods. The ban is just one part of a broader ordinance that seeks to improve workers’ health by offering only unprocessed or minimally processed foods in all establishments located within the premises of the Ministry of Health and related entities. With consumers dining in restaurants more often, the policy promotes adherence to healthier habits when eating out. Learn more.